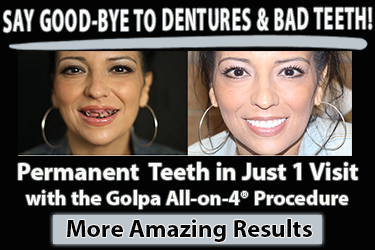 http://yourteeth.com The first concept of the Golpa All-on-4® Protocol; being highly skilled and experienced in all areas of the All-on-4 Treatment Concept. From planning, extraction, placement, and restoration. From the consult room to the laboratory, one Dentist dedicated to the Patient..